Tomorrow I want you to join with me for a powerful Miracle Service. I know that life can deal a lot of blows and a lot of circumstances can become bigger blocks. But no matter what is in front of you this month you are about to be renewed every day and every way. Each day your life is going to be getting better and better. Don’t lose hope! As GOOD things this month must take place. There should never be a day where you’re not applying your faith. As your miracle is near! Today I want you to remember that no matter what issue you are facing, God is able and willing to heal and deliver you from every financial crisis, from every failed business, from any family problem and from any mental and physical sickness and disease. Yes, this week and this month is a time of Good reports! This is a time for you to go out with confidence and declare that this is the month for you and Good things must follow. Are you ready to enter the Land of the Good..? Rise up and realise that no-one can remove you from where God wants you to be! No-one this month is capable of stealing your joy and making a rise out of you. 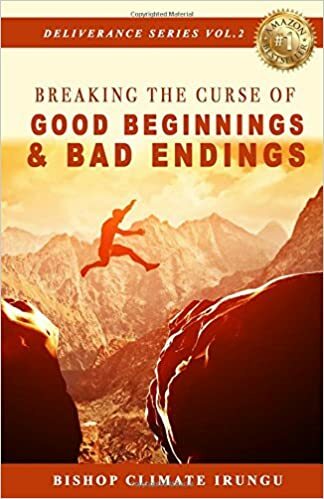 BREAK THE CURSE OF GOOD BEGINNINGS AND BAD ENDINGS CLICK HERE! Join with us tomorrow 23rd March for our After Sunset Miracle Healing Service Come and hear powerful instant testimonies! Favour, Breakthrough and so much more! Can You Put Your Faith In Action…? Today Read Incredible News From Zimbabwe Oct 2013 Trip & More!